Do you know the true value of your customers, your most valuable asset? Not the cost to acquire them but their value to retailers. This is what retailers REALLY want, the unique shopper your brand attracts. Grow sustainable sales with your market basket. 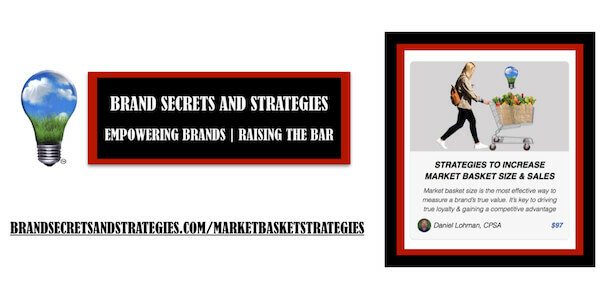 Market basket is the most effective way to measure a brand’s true value. It’s the key to driving true loyalty and gaining a competitive advantage. The harsh reality is that over 80% of natural brands fail within the first year. I’m committed to changing this. Level the playing field between you and the most sophisticated brands in your category so that you can compete head to head and toe to toe with them. You will learn the strategies that you need to be able to grow sustainable sales, and become a partner with your retailer to help both of you drive sales throughout the stores across multiple categories. I’m committed to helping you become a category leader. A category leader is any brand willing and able to step up and help their retail partners grow sustainable sales by leveraging the strengths of your brand. The market basket is the sum total of dollars in the shopper’s total purchases on a shopping trip. This is perhaps the most valuable metric for any brand. You’re taught to pay attention to your sales volume and your product ranking within the category, but this overlooks what really matters to retailers. The value of your brand to a retailer extends well beyond your products. When shoppers purchase your product, they purchase complementary products throughout the store. For example, if you’re an organic brand, then your customers are more likely to buy organic products in other categories across the entire store. Therefore, your customers are more valuable to the retailer than your mainstream counterparts. Understanding how to leverage this is critically important to your future. You should never try to compete on price or sales velocity alone. You’re worth far more to the retailer than the ingredients in your products. The true value of your brand is the customer who buys it. The customer who goes out of their way to choose your brand over the competition. Retailers generically don’t make anything. What they sell is the real estate that your brand occupies on their shelves. Savvy retailers want a couple of simple things, and if you can help them achieve this, then they’re going to help you. Retailers want to know that if they put your product on their shelves that they’re going to see growth in the category. They want a reasonable profit from selling your item and from the growth in the category. Additionally, they want a competitive edge in their market, and these are the strategies that you can use to help accomplish them. 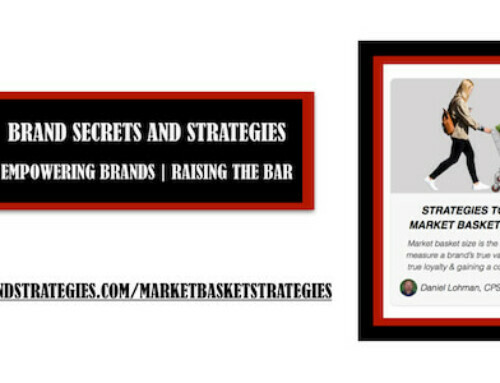 Strategies to increase market basket size and sustainable sales.